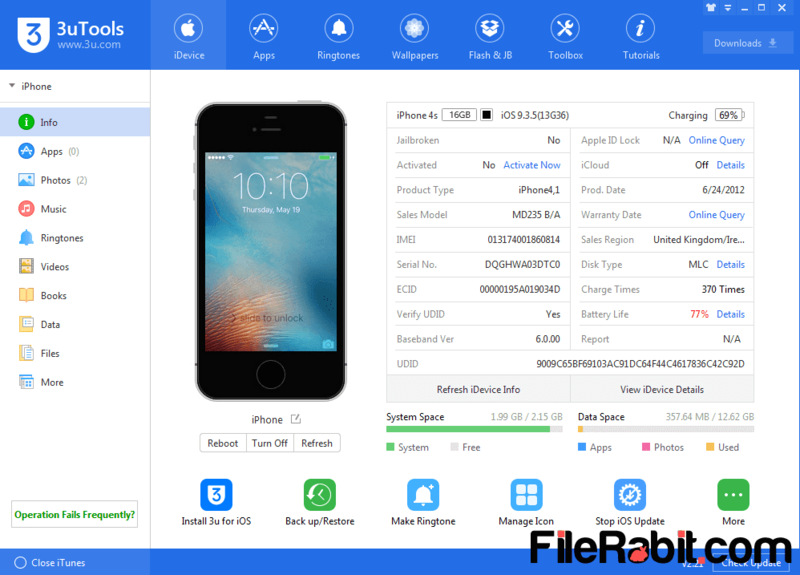 3uTools is professional iPhone, iPad and iPod device manager used to view information, download firmware files, restore or update software, copy photos, videos and applications easily. Basically, its one of powerful alternative of Apple iTunes which is the only mobile manager used to handle many things inside Apple devices few years ago. After few months, iTools and 3uTools have been launched for Apple users. Many of Apple users are getting bored from iTunes because of extra ordinary restrictions applied by Apple. However, 3uTools is similar to iTools but dozens of new features can be found e.g. flashing, downloading firmware files, handling cache directory, jailbreak and more. Create complete backup of your iPhone, flash or format and then restore all of targeted data with just single click. It will show all kind of mobile information including activation, jailbreak, model, serial, IMEI, region, iCloud and more iDevice info. It means, user can get ultimate control over Apple device where you can copy ringtones, music, videos, books, files, pictures and applications. It makes easy to manage audio or movie files existing in any iOS mobile device. 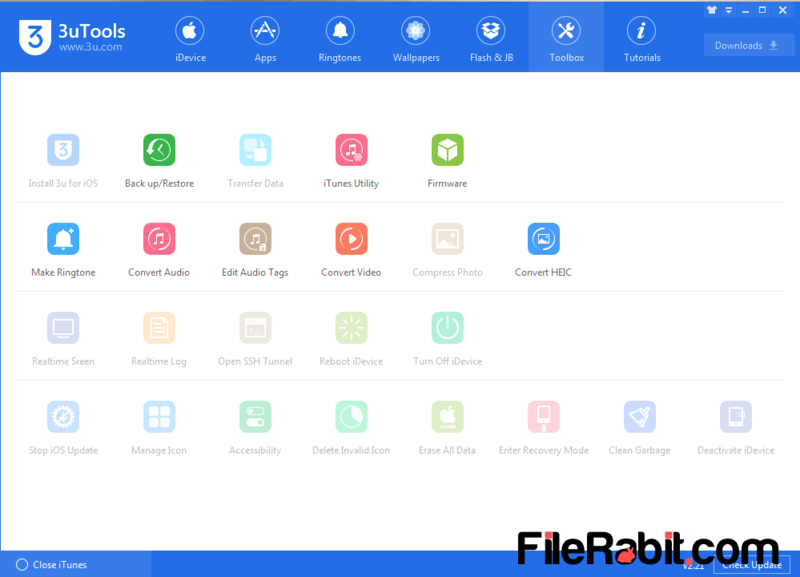 More tools include variety of functions such as garbage cleaner, ringtone maker, video converter, editing in audio tags, realtime log, stopping of iOS updates, delete invalid icons and many more. 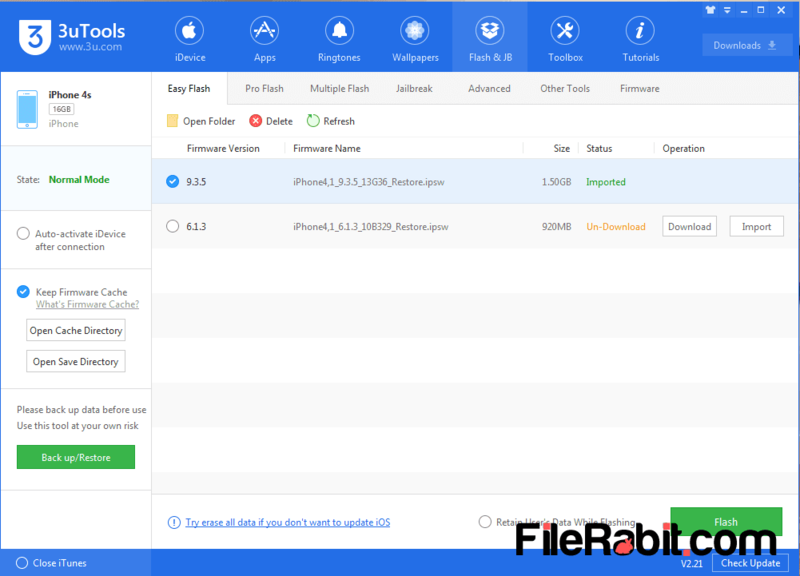 3uTools is also professional software especially for software handlers to update firmware to latest one, jailbreak, flash iOS to their genuine position, easy/pro and multiple flash. A freeware web store launched by 3uTools where you can download wallpapers, ringtones and apps for free. These professional features will help Apple iOS users to copy, move or create a strong level backup on PC or MAC. Each of function has its own liabilities and fundamentals but most of tools will definitely fill out user requirements. The interface is just attractive with user friendly graphics and theme. 3uTools is most recommended application which allows you downloading apps, tones, music, wallpapers and video clips without having Apple iTunes.